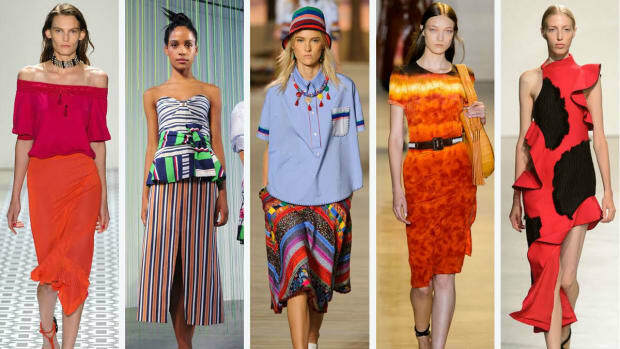 To use one of our new favorite phrases, Fashion Week is “many things.” Too many in fact, to capture in one blog post. But can we try? Day three is already here but we're still poring over the hits and misses of day one. Here's our take: The Wigs at Gary Graham: We got his vision for the clothes. But the beauty notes lost us at hello. What were those wigs? No, seriously. What were they? 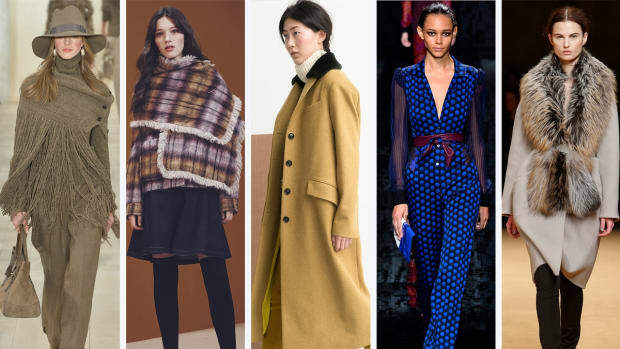 The Front Row at BCBG: Yet again, just as much to look at off the runway as a laundry list of “celebs” from Kelly Rowland to Jennifer Love Hewitt perched on the front row. Wellies at Organic by John Patrick: Rainy days just got an upgrade with these to-die-for lace up rain boots. Swimwear at Norma Kamali: We are too delighted that Kamali showed on the runway to complain about anything. But if we did, it would be to ask how those unforgiving cut-outs would translate on real women. The Wigs at Gary Graham: We got his vision for the clothes. But the beauty notes lost us at hello. What were those wigs? No, seriously. What were they? The Front Row at BCBG: Yet again, just as much to look at off the runway as a laundry list of “celebs” from Kelly Rowland to Jennifer Love Hewitt perched on the front row. Wellies at Organic by John Patrick: Rainy days just got an upgrade with these to-die-for lace up rain boots. Swimwear at Norma Kamali: We are too delighted that Kamali showed on the runway to complain about anything. But if we did, it would be to ask how those unforgiving cut-outs would translate on real women. That “Tisci Tinged” Christian Siriano Show: All we can say is “Hmm...” We&apos;ll just leave it to Meenal Mistry, who said it best in her Style.com review. Gift Bags at Robert Verdi’s Lounge: Verdi is already legend for his Santa-sized giveaways, but yesterday was especially epic. The Conair gift alone (given away by the granddaughter of the company’s founder) required a mini-van taxi to carry home.